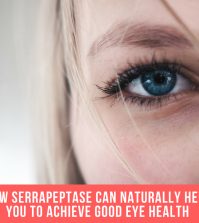 Good eye health begins with looking at what you’re eating and the nutrients you are taking into the body. Rich in Omega-3 fatty acids, wild oily fish contains healthy fats that can boost the overall health of your vision. 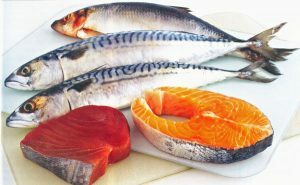 Studies have shown that eating oily fish may help to ease age-related macular degeneration (AMD). One study found that people who eat at least one portion of oily fish per week cut their risk of AMD by 60% when compared with people eating fewer portions. 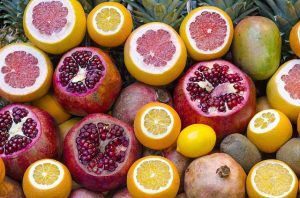 Oranges, lemons and limes are packed full of Vitamin C and this means they are excellent for boosting healthy blood vessels in the eyes and protecting the macular against degeneration, a condition that can commonly affect the retina. 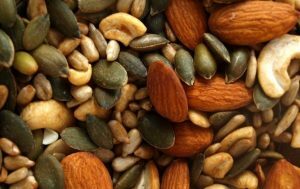 Almonds and various other types of tree nuts are rich in Vitamin E, a healthy fat that acts as a vital nutrient in guarding against various eye diseases including cataracts and macular degeneration. Symptoms can include visual distortion and cloudiness of the eyes. 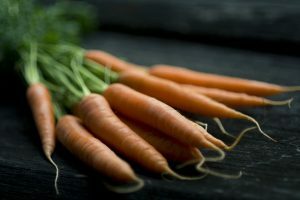 An abundant source of beta-carotene and Vitamin A, carrots can keep the surfaces of the eyes healthy. 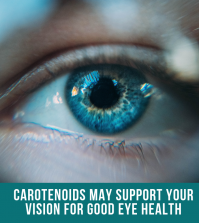 Beta-carotene is a form of Vitamin A found in plants and this plays a vital role in preventing macular degeneration, one of the leading causes of age-related blindness. Spinach is a rich source of two antioxidants known as lutein and zeaxanthin that can lower the risk of macular degeneration. Eat plenty of these leafy greens if you want to keep your eyes healthy and in good condition. 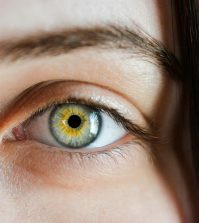 Want to find out more about healthy foods to save your eyesight? Take a look at www.reallyhealthyfoods.com. It’s the perfect place to find deliciously healthy recipes to suit any season. 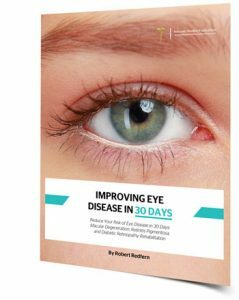 Also take a look at the ‘Improving Eye Disease in 30 Days’ book by Robert Redfern of Naturally Healthy Publications for help and guidance with improving your eye condition. 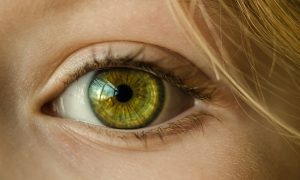 ‘Turning a Blind Eye’ by Robert Redfern provides a 10 step guide to naturally improving your eye health. MaxiFocus™ – Contains 24 super nutrients and antioxidants to maximise good eye health including Lutein, Zeaxanthin, L-Taurine, Vitamins A, D, E, B6, B12, Copper, Chromium, Folic Acid, Magnesium, Niacin, Riboflavin, Selenium, Thiamin and Zinc. Cloudy sight what is the caused and what is the remedies. Hello Christopher, for some people cloudy vision can be a symptom of an eye condition such as cataracts, but for others it can be a sign of a more serious eye condition. Therefore, it is best to get this checked out by a ophthalmologist. 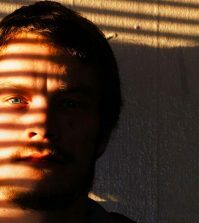 And contact the health coaches at http://www.mygoodhealthclub.com for more specific guidance for your needs.